Now that Miss N has officially tied the knot, we can finally share her images! I think we could’ve done an entire session with only this coral romper. Everything about it is perfect. From the frilly and sheer material to the way N felt when she wore it. It brought out her flirtatious side that my camera could barely keep up with. Here is a small glimpse at J’s exquisite album. 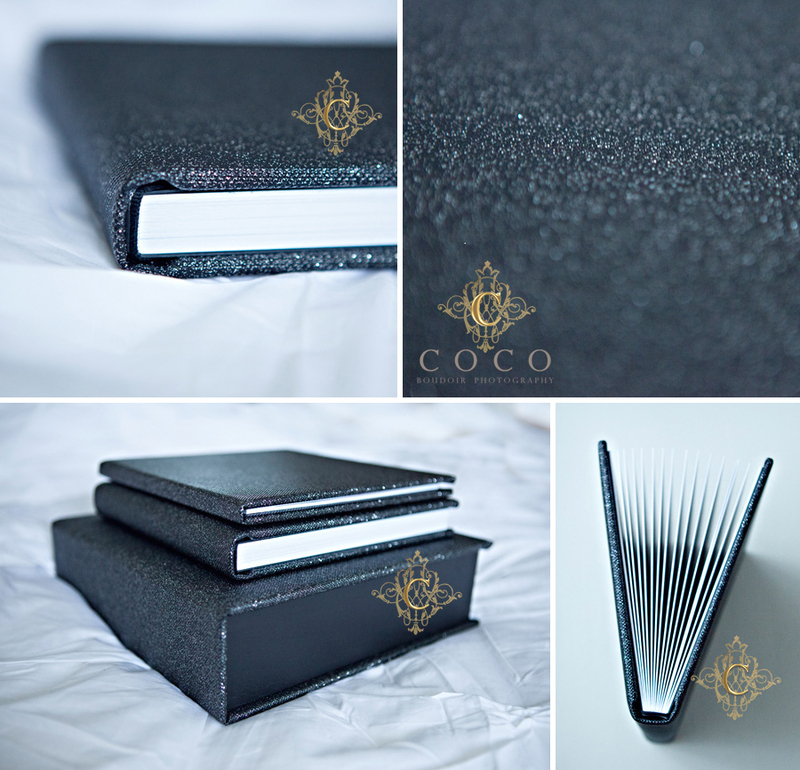 She decided on our most popular product, the Desire Album with Ice cover. It comes with a matching designer box and bedside folio. The pages are thick and printed on a silk finish for a flawless texture and minimal glare. The deep grey floral was a perfect choice for J, as she expressed wanting a cover option that was both feminine and masculine. It has a rich velvet feel and the personalized Ice cover was a must. This album boasts 37 of her favourite images, all which I’m sure made her new husband’s jaw drop. 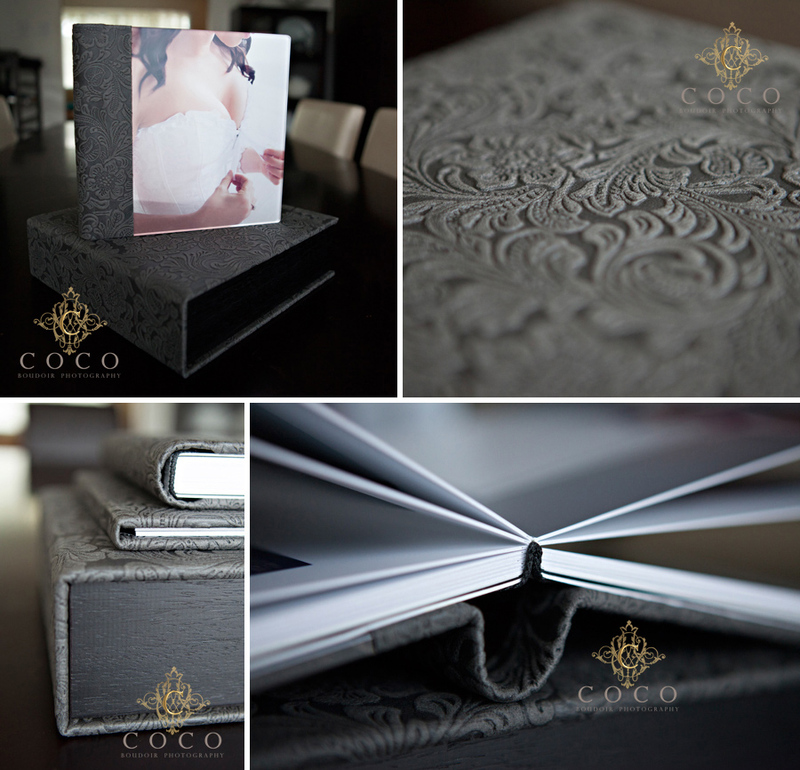 If you would like a custom album of your very own, contact us to book your Coco Signature session now. Miss J came in for our Signature Coco session as a surprise gift for her soon to be groom. We started her off in a subtle and elegant bridal look, but Miss J came armed with some very dark and sultry outfits as well, and ended her session with nothing but a sheet set. All these looks made for a visually stunning album filled with variety. It was such a pleasure to work with you J. Sharing photos of the lovely Miss R today! She came in for a bridal boudoir shoot to surprise her groom with on their wedding day. We were excited (and a bit jealous) to hear about her European destination wedding. Oh, if only we got to see his reaction when she gave him his own customized album filled with pages and pages of the some of the images below. We hope your wedding day was everything you imagined it would be R! Thank you for allowing us to share your images A, and thanks for letting us be a small part of your big wedding day! We often get asked if Coco does maternity photos and the answer is yes! We like to call them belly boudoir. The photos below are a taste of what a session like that would look like. Hope you had a fantastic day Miss Karrie! Along with many different looks that women bring in, there are just as many reasons why women do a boudoir shoot. I loved R’s reasoning, she said it was because her husband made her feel so beautiful all the time that she felt the confidence to do something a little riské. We adore a hubby that empowers his bride. Thanks for allowing us to show your images R. Now we get the opportunity see you the way your husband does everyday. Just when I thought our Desire Album couldn’t get anymore luxurious, they went and added a new option called Ice Cover! It is extravagant! It gives the appearance of your favourite photo mounted in glass . For this particular album, the cover has been paired with the album material called “All that glitters is gold, ” one of over 20 options available. 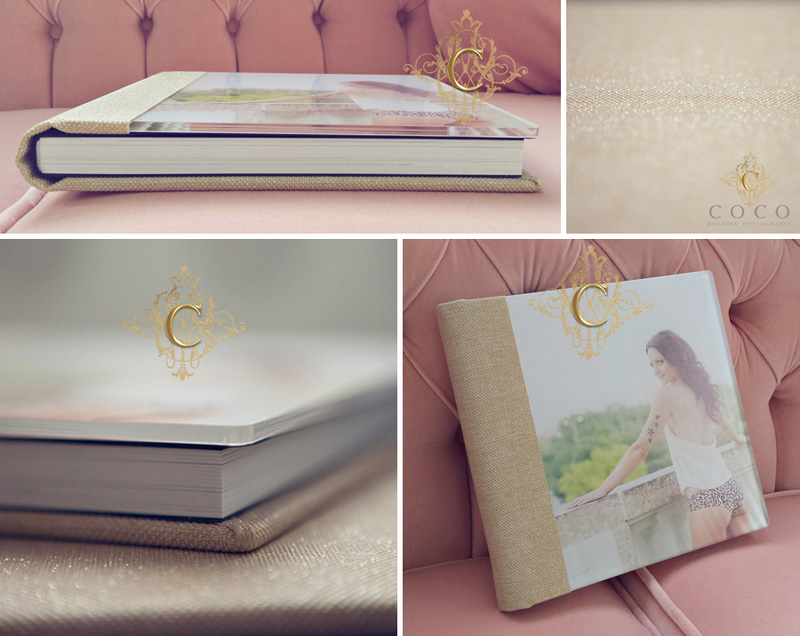 As always, the Desire Album comes with a matching designer album box & 2 image Bedside Folio. It boasts 15 thick, silk textured pages. (30 sides) Has the capability of multiple images per page, as well as panoramic photos spreading over 2 pages. It was well worth all the hours of research it took to find an album company that made such a high end product, and we are proud to offer it to our Coco clients. I’m on my way to hand deliver this gorgeous album to its rightful owner, but I’m having some serious problems parting with something this pretty.